Hop aboard the Happy Trails Stagecoach for a one-hour tour of the resort. 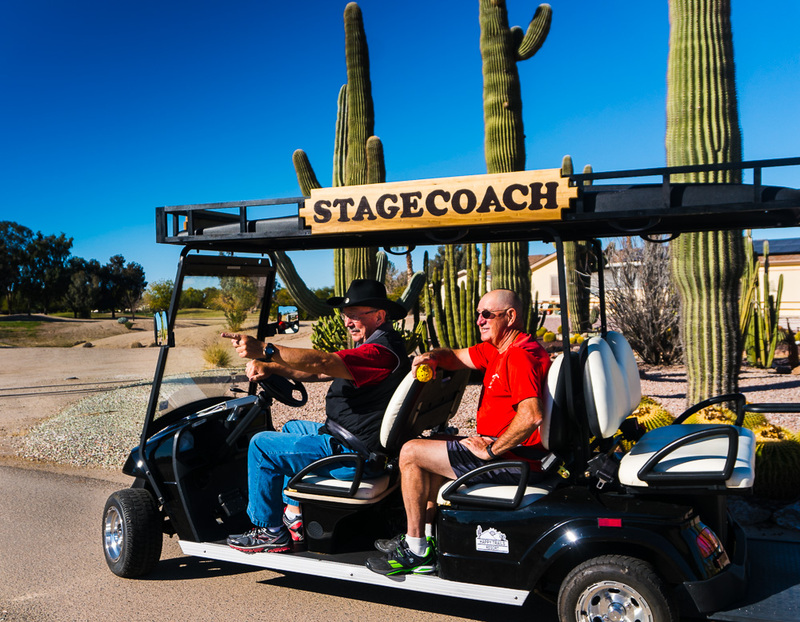 Your stagecoach driver will show you the activities and amenities we have to offer. There will be opportunities to get off the coach and enter some of the facilities as well. You will have a chance to see the variety of homes, which definitely adds to the attractiveness of the resort. You will be amazed at the green spaces and vegetation that you will pass on your tour. Whether your favorite activity is pickleball or hiking nearby mountains or crafting and more, on the tour you will get a flavor of what makes up our special Happy Trails lifestyle. BY APPOINTMENT ONLY To schedule a tour, please use the form below and we will get back to you as soon as possible. 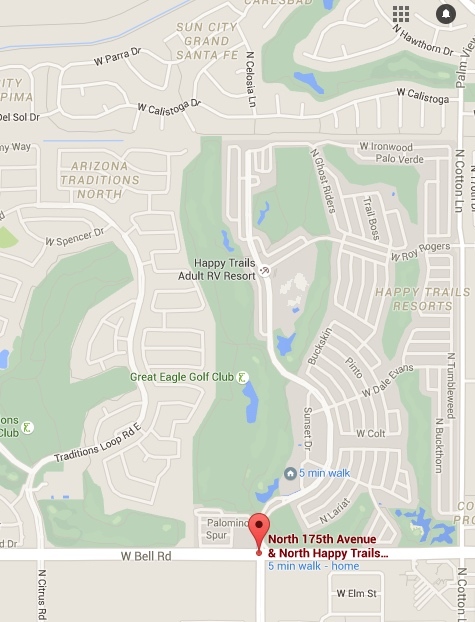 You can also call us at 623-584-0068.